After purchasing the Rimmel Stay Matte primer (£5.99) a couple of months ago and ending up loving it, I though that it was time to try a higher end offering, and what better brand to start with –Laura Mercier. I purchased the Laura Mercier foundation primer travel size (£19) on my recent Space NK trip. More on what I brought here. I got myself a sample of this when I went to Liberty in London and have been lusting for it since I used up my last drop. I finally caved and brought the travel size. I’ve been travelling a lot recently so this is super handy to throw into my makeup bag for when i’m on the go. The primer itself is lightweight and has a creamy vitamin rich gel constancy, and as you know I am all for gel based products. It is supposed to help create a perfect canvas for flawless makeup application. It also creates an “invisible layer that acts as a buffer to outside elements and expertly holds foundation.” This water-based formula keeps makeup looking and feeling fresh for hours. This particular primer is suitable for all skin types, but I know that Laura Mercier do an oil free, hydrating and radiance primer. I am really pleased with the overall result of this primer, it adds enough glow to the skin without making my face look wet or oily. It grips any foundation (that i’ve tried) and still manages to produce a healthy glow. I pair this with my Rimmel match perfection foundation (£6.99) or my Chanel Vitalumier aqua foundation (£32), both lightweight with a fair to medium coverage. 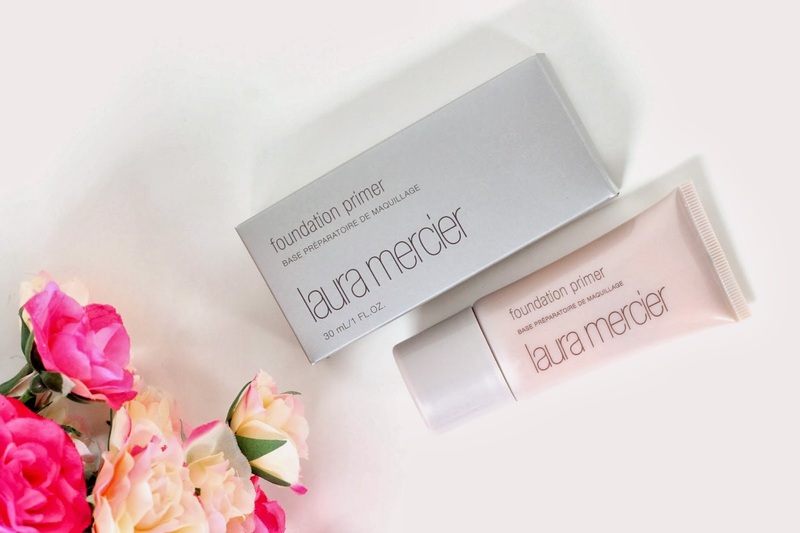 Again I would suggest that if your interested in this primer, going to a Laura Mercier counter and picking up a sample. That way you can be sure that it works with your skin type and that you like the formula and constancy. Thanks for reading, leave me a comment letting me know if you would like to see a post about primers? or if you have tried any of the Laura Mercier primers yourself.